Copenhagen saw a global collapse because America is, as ever, controlled by corporate power. Barack Obama’s forefathers called the British Crown’s bluff at the Boston Tea Party, battled it and won the historic American War of Independence. Much later, India fought the same British Crown without arms for swaraj and won its Independence. America made a unique Declaration of Independence, beginning the end of slavery and colonialism. India made a magnificent “tryst with destiny” for the sake of equality and Independence, and to wipe every tear from every eye, as proclaimed by Jawaharlal Nehru. Nehru was inspired by the greatest human being of his generation, Mahatma Gandhi. India aspired to become a socialist, secular, democratic republic. It may be relatively poor in material terms but has sublimated itself with the noblest felicity of spirituality. Indians are not mendicants for military gains or other weapons for victory, but want peace and security. These aspirations have been articulated in India’s Directive Principles of state policy. These two great democracies ought to work together to implement the conscience of the Constitution as expressed by Dr. B.R. Ambedkar, who was the Chairman of the drafting committee of the Constituent Assembly and as approved unanimously by that Assembly. This is the crux of India’s foreign policy that should strive for a cosmos where none violates the other and there is peaceful co-existence, so that humanity as a whole shall be a haven of fellowship and ensures security and non-alignment all around. Mr. Obama is a Gandhian, too. Dr. Martin Luther King Jr. was himself a disciple of Gandhi. Swami Vivekananda, the spiritual wonder, made his acclaimed lecture to the World Parliament of Religions on September 11, 1893 in Chicago. Thus India and the United States have bonds that are on a higher plane than mere military and business deals. The great American people, in electing Mr. Obama President, expressed their historic commitment to a faith in human rights, regardless of race, class or region. Independent India’s Founding Fathers were true to the ancient heritage of the Buddha and Ashoka that motivated Mahatma Gandhi to take to the path of non-violence and truth in a world of ubiquitous terrorism and economic violence and where mighty corporate power came to rule the roost. A visit by Mr. Obama to India will prove to be an inspiration for a world where justice — social, economic, political and cultural — will be supreme. Prime Minister Manmohan Singh has jettisoned the ideology of George W. Bush and invited him to Bharat Mahan. Dr. Singh, who visited Russia and China before going to Copenhagen, is a statesman with a vision of one-world. His mission encompasses spiritual values that go beyond crass materialism and is instilled with compassion for all living creatures in the spirit of the Buddha. Thus, from the Volga to the Ganga to the Mississippi and the Yangtze, India wants a friendly universe. That is Advaita, the fundamental philosophy of India. The West came to India with the ethos of the Christian White, while India maintained a tolerant theology that has been forever pacific. The White House and the Red Fort did not practise the pathology of protest and conversion but integrated Jesus Christ with the Krishna cult. So, too, Islam came with trade. The Indian ancestors did not resist Allah but integrated religion into their culture. So India is secular in a transcendental sense. The U.S. itself has people from many countries. India and the U.S. share many values. It is not about the nuclear power of annihilation but about a socialist culture and a secular wonder of fraternity and Gandhian culture. That is the foundation of Indo-American friendship, formed by means of a transformation of values. Big business and material consumption do not by themselves represent development. Privatisation, globalisation and nuclear annihilation constitute a thanatology that both the countries should jointly resist. Mr. Obama is great; so too is Dr. Singh. The shared destiny of these two countries is not heading downhill but rather evolving into a higher cosmos that is free from chaos, not polluted by obdurate obscurantism. The rich getting richer and the poor getting poorer is a recipe for planet earth to perish, sooner than later. Way back in 1972 (June 5 to 16) in Stockholm, the United Nations Conference on the Human Environment was held and Prime Minister Indira Gandhi took a leading role there in conscientising humanity about the need to fight environmental pollution in order to save the biosphere. Nearly four decades later the nations of the world met in Copenhagen last month to unite on serious issues of climate change and to save the earth from destruction, disease and despair. But, alas, Copenhagen amounted to a suicide. The Indian Prime Minister did his best. But the richer countries would not agree. Do they not realise that if the planet perished the rich would go down too? Humanity’s death knell seemed close at hand, but some nations, intoxicated by their riches as they have been, forgot that fact and resisted change. The world summit ended in disappointment and despair. Mr. Obama, the new wonder, could not commit America to save Copenhagen as the hope of a new world. Thus today the Indian Prime Minister seeks to salvage the world, while the American President is powerless to vote for the victory of humanity. Here it is not the new White House, but ‘America Incorporated’ that governs the white world, leaving the coloured mankind to seppuku. The revised draft presented by the U.S., India, China and a half-hearted Britain spelled surrender to the capitalist-exploitative appetite. The writing on the wall is of planetary extermination. After all, the President of the United States, be he white or black, is still an American. 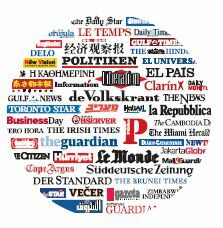 Today 56 newspapers in 45 countries take the unprecedented step of speaking with one voice through a common editorial. We do so because humanity faces a profound emergency. Unless we combine to take decisive action, climate change will ravage our planet, and with it our prosperity and security. The dangers have been becoming apparent for a generation. Now the facts have started to speak: 11 of the past 14 years have been the warmest on record, the Arctic ice-cap is melting, and last year’s inflamed oil and food prices provide a foretaste of future havoc. In scientific journals the question is no longer whether humans are to blame, but how little time we have got left to limit the damage. Yet so far the world’s response has been feeble and half-hearted. Climate change has been caused over centuries, has consequences that will endure for all time, and our prospects of taming it will be determined in the next 14 days. We call on the representatives of the 192 countries gathered in Copenhagen not to hesitate, not to fall into dispute, not to blame each other but to seize opportunity from the greatest modern failure of politics. This should not be a fight between the rich world and the poor world, or between east and west. Climate change affects everyone, and must be solved by everyone. The science is complex but the facts are clear. The world needs to take steps to limit temperature rises to 2C, an aim that will require global emissions to peak and begin falling within the next 5-10 years. A bigger rise of 3-4C — the smallest increase we can prudently expect to follow inaction — would parch continents, turning farmland into desert. Half of all species could become extinct, untold millions of people would be displaced, whole nations drowned by the sea. At the deal’s heart must be a settlement between the rich world and the developing world covering how the burden of fighting climate change will be divided — and how we will share a newly precious resource: the trillion or so tonnes of carbon that we can emit before the mercury rises to dangerous levels. Rich nations like to point to the arithmetic truth that there can be no solution until developing giants such as China take more radical steps than they have so far. But the rich world is responsible for most of the accumulated carbon in the atmosphere — three-quarters of all carbon dioxide emitted since 1850. It must now take a lead, and every developed country must commit to deep cuts which will reduce its emissions within a decade to very substantially less than its 1990 level. Developing countries can point out they did not cause the bulk of the problem, and also that the poorest regions of the world will be hardest hit. But they will increasingly contribute to warming, and must thus pledge meaningful and quantifiable action of their own. Though both fell short of what some had hoped for, the recent commitments to emissions targets by the world’s biggest polluters, the United States and China, were important steps in the right direction. Social justice demands that the industrialised world digs deep into its pockets and pledges cash to help poorer countries adapt to climate change, and clean technologies to enable them to grow economically without growing their emissions. The architecture of a future treaty must also be pinned down – with rigorous multilateral monitoring, fair rewards for protecting forests, and the credible assessment of “exported emissions” so that the burden can eventually be more equitably shared between those who produce polluting products and those who consume them. And fairness requires that the burden placed on individual developed countries should take into account their ability to bear it; for instance newer EU members, often much poorer than “old Europe,” must not suffer more than their richer partners. The transformation will be costly, but many times less than the bill for bailing out global finance — and far less costly than the consequences of doing nothing. Many of us, particularly in the developed world, will have to change our lifestyles. The era of flights that cost less than the taxi ride to the airport is drawing to a close. We will have to shop, eat, and travel more intelligently. We will have to pay more for our energy, and use less of it. But the shift to a low-carbon society holds out the prospect of more opportunity than sacrifice. Already some countries have recognised that embracing the transformation can bring growth, jobs, and better quality lives. The flow of capital tells its own story: last year for the first time more was invested in renewable forms of energy than producing electricity from fossil fuels. Kicking our carbon habit within a few short decades will require a feat of engineering and innovation to match anything in our history. But whereas putting a man on the moon or splitting the atom were born of conflict and competition, the coming carbon race must be driven by a collaborative effort to achieve collective salvation. Overcoming climate change will take a triumph of optimism over pessimism, of vision over shortsightedness, of what Abraham Lincoln called “the better angels of our nature.” It is in that spirit that 56 newspapers from around the world have united behind this editorial. If we, with such different national and political perspectives, can agree on what must be done then surely our leaders can too. The politicians in Copenhagen have the power to shape history’s judgment on this generation: one that saw a challenge and rose to it, or one so stupid that saw calamity coming but did nothing to avert it. We implore them to make the right choice. AT A time when they are not short of pressing problems to deal with, the presence of 100-odd world leaders at the two-week meeting that starts in Copenhagen on December 7th to renew the Kyoto protocol on climate change might seem a little self-indulgent. There will be oceans of planet-saving rhetoric, countless photographs of politicians wearing dark suits and serious faces and, if things go according to plan, an agreement to cut emissions to avert a rise in temperature that might anyway have turned out to be marginal and self-correcting. It might; and then again it might not. Uncertainty about the consequences of climate change makes it hard to persuade people to spend money on it, for where the damage is uncertain, so are the benefits of averting it. Yet uncertainty is also why mankind needs to take the problem seriously. If we were sure that the temperature would rise by 2-3ºC, then we could choose to live with that. But we do not know how far the rise might go. The Intergovernmental Panel on Climate Change (IPCC), the body set up by the UN to establish a scientific consensus on the subject, puts the range of possible increases by the end of this century at 1.1-6.4ºC. At the bottom end of the range, the difference would be barely noticeable. At the top end of the range—well, guesses about what the world would look like then read rather like science fiction. Although the benefits of averting that sort of catastrophe are incalculably large, the costs of doing so should not be enormous—as little as 1% of global output, if policy is well designed (see our special report). This newspaper reckons that the world should fork out, rather as householders spend similar proportions of their income on insuring their homes against disaster. Agreeing that the problem is worth tackling is, however, a small step on the way to doing so. Since the United Nations Framework Convention on Climate Change, which spawned the Kyoto protocol, was signed in 1992, global carbon-dioxide emissions have risen by a third. The problem is not a lack of low-carbon technologies. Electricity can be generated by nuclear fission, hydropower, biomass, wind and solar energy; and cars and lorries can run on electricity or biofuels. Nor is the problem an economic one. A percentage point of global economic output is affordable for a worthwhile project. Saving the banks has cost around 5% of global output. So the problem is both simpler and cheaper to fix than most people think. But mankind has to agree on how to share out the costs, both between and within countries. That splits into two challenges. The first is to get an international deal, which is what world leaders are trying to do at Copenhagen. The second is to implement that deal at a national level, with better policies than those currently in place, including a credible carbon price. Otherwise the cost will be far more than that 1%. The prospects for Copenhagen look better than those for Kyoto did. Australia, which initially walked away from Kyoto, has now ratified it (though its government may choose to hold an election on the issue—see article). America’s emissions-cutting bill is stuck in the Senate, and may never emerge, but Barack Obama is keen to push on. Some middle-income countries, such as Brazil and Mexico, have announced targets for cutting emissions; China has announced one for cutting the carbon-intensity of its economy. The arguments at Copenhagen will focus on two issues: emissions cuts and money. Developed countries are required to produce targets for cutting their emissions by 2020. On the basis of the IPCC’s figures, their emissions need to drop by 25-40% below 1990 levels by 2020 if the world is to limit the rise in temperature to 2ºC above pre-industrial levels. The offers on the table add up to around 15% compared with 1990 levels by 2020. America, the main laggard, is offering around 4%. Developing countries are required to come up with “actions” to limit emissions. China, now the world’s biggest emitter, and so the country in the spotlight, has committed itself to cut the carbon-intensity of its economy by 40-45% by 2020. America is dissatisfied with that, because that’s pretty much where China would get to on the basis of its existing policies. Emerging countries want governments in the rich world to pay huge sums from their coffers for adaptation to, and mitigation of, climate change. China has mentioned $400 billion a year. The EU reckons €100 billion ($150 billion) a year is more like it—some from exchequers, most from capital markets. On emissions cuts, both sides need to give ground. Developing countries are right that America’s offer is unimpressive compared with 1990 figures, but the trajectory from now on is pretty steep. And, given that the crucial legislation is stuck in the Senate, Mr Obama’s decision to put any numbers on the table is a brave one. Senators react badly to the sense that their country is being pushed around by foreigners—as their pre-emptive rejection of the Kyoto protocol showed. A deal on the basis of the numbers America has offered would be better than no deal. Nor is China’s offer derisory. The Americans complain that China’s existing policies would achieve those cuts with no extra effort. True; but China, unlike America, has already introduced significant emissions-cutting measures. On cash, money should indeed change hands—both for moral reasons (rich countries are largely responsible for the problem so far but poor ones will suffer most) and for practical ones (some poor countries do not have access to the capital they need to invest in mitigation). But developing countries should not be asking for huge government-to-government transfers. Capital markets are better at allocating resources than governments are. Rich-country governments should help money flow from the markets by subsidising the risk of investing in clean energy in poor countries: public money should be used to prompt larger sums of private capital. If an agreement is reached at Copenhagen, there will be much relief on all sides; but the job will only just have started. The parties to the negotiation decided to put aside the question of whether, and how, to make the deal legally binding pending the passage of America’s emissions-reducing legislation. And an international agreement is only the first step to emissions cuts. National targets have to be implemented through domestic policies which encourage businesses to invest in clean products and processes, and discourage them from investing in carbon-intensive products and processes. This is the second, harder task. A good policy framework would include some regulation in areas where the market doesn’t work well, such as the energy-efficiency of buildings and appliances. It would include a modicum of subsidy, on research into technologies that are still a long way from being marketable, such as carbon capture and storage. But it would rely largely on by far the most efficient tool in the policymaker’s kit—a carbon price. A carbon price sends business a price signal to invest in clean stuff not dirty stuff. It doesn’t involve micromanaging business, which regulations do. It doesn’t impose a burden on taxpayers, or require governments to pick winners, which subsidies do. It is, according to an American study, twice as efficient as any other policy. Economists prefer carbon prices, especially those set by taxes rather than cap-and-trade systems, which are more vulnerable to capture by the polluters they are supposed to penalise. Sadly, though, the views of economists carry little weight. Governments and businesses both tend to like subsidies. Europe has done best. Its cap-and-trade system has set a carbon price and cut emissions modestly in the sectors it covers. But it relies too heavily on subsidies for renewable energy, and too little on its carbon price. Economists reckon a carbon price of around $40 is needed. Europe’s is around €13. America does not yet have a national carbon price; and its corn-ethanol subsidy, combined with a tariff on cheaper, greener imports, takes the planet’s first prize for the world’s most counterproductive “green” policy. The subsidy-laden bill to establish a cap-and-trade system is a step in the right direction; but, since the carbon price it would set is likely to be around $12, rising to $20 by 2020, not a very large one. Governments see subsidies as a convenient way of easing in emissions curbs which businesses would otherwise resist. That may be so in the short term. But in the long run they make cutting emissions harder. The notion that dangerous climate change can be averted for a mere 1% of global GDP depends on policy being efficient. If it isn’t, the costs will mount—and so will the chances that the effort will fail. The leaders gathering in Copenhagen need to come to an agreement, even if it isn’t a very good one. But that will only be the start. The national policies used to implement cuts need to be more efficient than the ones that are so far in place. That requires leadership from the politicians, and support from the voters. 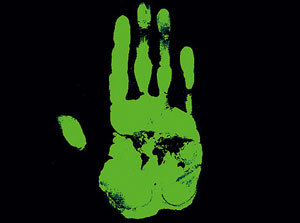 The world is, in the end, in their hands. The applicants in these applications, who are licensees of major minerals in the State of Haryana, seek modification/ clarification of this Court’s order passed on October 8, 2009. The grievance of the applicants is that by the aforesaid order, the Court directed the State to revoke all licenses of major minerals in the districts of Faridabad and Gurgaon even though the major mineral 4 applications were not posted on that date and consequently they did not get an opportunity to present their case before the Court. Office is directed to list all applications relating to licensees of major and minor minerals on December 11, 2009. The State of Haryana will publish a notice giving general information to all the licensees of major and minor minerals that their matters will be heard by this Court on December 11, 2009. While Orissa vigilance sleuths and mines department officials are scratching their heads trying to find out the extent and dimensions of the mining scam, official documents reveal that the magnitude of the scam could be anything over Rs 14000 crore. The Central Empowered Committee of the Supreme Court headed by former bureaucrat PV Jayakrishnan would soon start investigating the violation of forest laws following a petition by Orissa-based journalist Rabi Das. However, CEC chairman Jayakrishnan said the panel has not got the formal notification of the probe order as yet. “We will decide about the modalities of the probe and the dates after we see the notification,” he told The Indian Express. But the fact is that the scam goes beyond violation of forest laws only. Evidence available with The Indian Express shows the real scam was mining in excess of the limits set by the authorities. This violated the existing environmental laws. Documents brought under the RTI Act showed that over last 6-7 years more than dozen leading mining and steel companies dug out excessive quantities of iron, chromite and manganese ores in wanton disregard of existing laws and limits. It’s no secret they could do it due to lax supervision of officials of the Orissa Pollution Control Board, Indian Bureau of Mines, state mines department, forest department, district collector and Ministry of Environment and Forests. Any mining company before digging up even a handful of earth in the ore-rich areas has to obtain a Consent to Operate (CTO) certificate from the Orissa Pollution Control Board which stipulates the amount of ore that can be mined in a year. The limit is specified with an eye on collateral environmental damage that mining brings as the waste and overburden (the earth that needs to be excavated for extracting the ore) is normally 3-5 times of the actual mineral. When environmental clearance is granted to any mine, the maximum amount of ore which can be mined per year is specified. The quantity of ore that is to be extracted every year is specified in the mining plan which is approved by the IBM. Accordingly, when the Environment Impact Assessment (EIA) study is carried out the likely impacts on the local environment are assessed based on the quantity of ore to be extracted every year. Documents obtained from the Orissa Pollution Control Board and interviews with officials in the State mining department show that the biggest violator could be Aditya Birla Group-owned Essel Mining and Industries Limited. Between 2001-02 and 2005-06, the company mined 206 lakh tonnes of iron ore in excess of its permitted limit of 25.86 lakh tonnes in just 2 mines(Kasia and Jiling-Longalata) of Keonjhar district. By conservative estimates, the total amount of the excess iron ore mined was Rs 4269 crores. Essel Mining seemed to care two hoots about possible closure of the mines for violation of the OPCB norms. Though a closure notice was issued by the OPCB’s regional office in Keonjhar district on January 24, 2006 for violating the conditions and running two screening plants inside the forest area without mandatory environmental clearance, it did not shut shop. The OPCB also did not press further and did not close the mines. Ardhendu Mohapatra, the chief residential manager of Essel Mining in Orissa said he was not authorized to comment but added that the company had all the statutory clearances in places. “We have not violated any laws,” he said. Another major player, SR Rungta Group similarly mined iron ore and manganese in excess of the limit they were allowed by the OPCB. By conservative estimates, the total amount of the excess iron ore mined by the group companies between 2003 and 2006 in 6 of its mines was Rs 2978 crores. Like Essel Mining, Rungta Mines was also not shut in spite of OPCB norm violations. On Dec 18, 2006, the Ministry of Environment and Forests informed the Orissa government about illegal/excessive extraction of iron ore in 6 mines of Rungtas. A designated committee of the OPCB had also found that excess mining was going on and had ordered closure of at least two mines on March 1, 2007. But the OPCB Chairman at Bhubaneswar did not issue the closure order. None of the officials of Rungta were available for comment. Similarly, documents revealed that the Thakurani B mines owned by SL Sarda and ML Sarda in Keonjhar with a controlling interest by Jindal Steel and Power Limited mined iron ores in excess of the specified limit worth Rs 1850 crore. Evidence shows that Tata Steel, which has chromite and iron ore mines in Sukinda(Jajpur district) and Joda East (Keonjhar) respectively mined ores worth Rs 1200 crore between 2004-05 and 2007-08. Even the IMFA group promoted by BJD MP Jay Panda, mined excess chromite ore worth Rs 50 crore in 2004-05 and 2005-06. Officials of Tata Steel and IMFA denied that the companies had violated any provisions of mining and environmental laws. It appears that even the government companies are no holy saints since Orissa Mining Corporation was found to have mined 9.63 lakh tonnes of excess chromite from its South Kaliapani mines in Jajpur district. During the period between 2004 and 2008, the market value of the excess ore is estimated at Rs 105 crore. Incredibly OPCB suddenly raised the limits of ore production of the companies in a subsequent year even though the company had violated the consent to operate conditions in the past. No penal action was taken against them. It also appears that OPCB officials never applied their mind to assess the disastrous effects on the local environment by allowing companies to increase their production by 10-20 times from the previous levels. Orissa steel and mines secretary Ashok Dalwai said he was not aware if excess mining has taken place in Keonjhar and Sundargarh districts. “It has not been proved as yet whether excess mining took place. But we have to verify case by case and see if the companies had got their mining plans modified by the Indian Bureau of Mines. But we are looking into more important facts of the case,” said Dalwai. This is surprising since the field inspection reports of the Pollution Control Board clearly pointed out the huge scam which was going on right under every body’s nose. Clearly the Mining Department and the Pollution Control Board did not exchange information. LN Patnaik, who headed the Orissa Pollution Control Board between 2004 and 2008 (when some of the excess mining happened) said he does not remember what happened during those period. “It (excess mining) may be possible, but under what circumstances it happened I can’t say,” he said. Meanwhile the director of Orissa vigilance, Anup Patnaik said the agency would take several months before it can file a chargesheet. “We are still assessing the magnitude of the scam. So far we have lodged 3 cases and may lodge more in the coming days. We will not spare anybody whosoever is involved in the scam,” said Patnaik. HYDERABAD: A Central Empowered Committee (on Environment and Forests) of the Supreme Court has found certain “prima facie” discrepancies in the information furnished by Andhra Pradesh on the actual extent of the three mines given in lease to iron ore companies owned by Karnataka Tourism Minister Gali Janardhana Reddy. The boundaries of the mines shown in the Survey Report are prima facie different from the sketches on the approved mining leases, the committee said in a communication sent to the Principal Chief Conservator of Forests on Friday. A copy of it is available with The Hindu. In 2001, Mr. Reddy’s family was given leases of three mines, measuring 25.98, 39.50 and 68.5 hectares at Obulapuram and H. Siddapuram villages in Anantapur district. Following the Telugu Desam Party’s allegations that Mr. Reddy’s firms had encroached on land beyond the leased area, the then Chief Minister Y.S. Rajasekhara Reddy appointed a Survey Committee, which gave a clean chit to the companies. The Empowered Committee significantly concluded that “if the village boundary as drawn by the State-level Committee is taken to be correct, at least one mining lease overlaps into two other mining leases. In other words, the combined sketch map of mining leases does not tally with the individual mining lease sketches,” the letter said and sought specific observations from the Principal Chief Conservator of Forests. The official was also asked to submit copies of the show-cause notices issued by the Anantapur Divisional Forest Officer. (DFO Kallol Biswas on October 28 served notices on the Obulapuram Mining Company for suspending its mining licences and subsequently received threats in person). Further, the Empowered Committee wanted copies of the sketch map of the five mines prepared by the Forest Department on the basis of the village boundary as demarcated by the Survey Committee, besides the sketch map of the sanctioned mining leases. The five mining leases are a reference to the two given to the OMC, one to the Anantapur Mining Corporation, all owned by Mr. Reddy’s family, and the remaining two in the names of Bellary Iron Ore Co. Pvt. Ltd (BIOP) and Y. Mahabaleswarappa & Sons respectively. The Aravalli Hill Range has been subjected to widespread mining activities in recent times. About 1500 ha. of land was given for mining operations in Gurgaon and Mewat areas. Most of the mines were for excavating major minerals but we are told that what the mine operators extracted from the leased area were mostly minor minerals. Vast areas were thus reduced to ditches, some of them going down to a depth below the water level. The C.E.C. has filed a report showing the extent of damage caused by the mining operations in this area. With the help of the National Remote Sensing Centre, Hyderabad, Department of Space, Govt. of India, maps of these areas are prepared by using satellite imagery system. Photocopies of the maps of these areas are produced before us from which it appears that as a result of the mining operations, the entire area has become highly devastated. The C.E.C. has also filed its report indicating the extent of damage caused to this area. There were discussions between the C.E.C. and the State of Haryana as to what steps need be taken in regard to the mining activities in these areas. All mining operations in these hills were suspended by this Court vide order dated 8th May, 2009. Now it is stated on behalf of the State of Haryana that a complete ban on mining minerals there would cause scarcity of building materials and the construction of roads and buildings and other developmental activities would be seriously affected. It was suggested that about 600 ha. of land be set apart for extraction of minor minerals in the district of Faridabad, including Palwal. The State Government is also facing a problem caused by mining operations carried on in the past over an area 1500 ha. of land in Gurgaon and Mewat. These mine operators did not carry out any reclamation or rehabilitation work though they were legally bound to do so under Rule 27 of the Mineral Concession Rules, 1960 read with Form-K of the Mineral Concession Rules. Most of these places have been simply abandoned. These areas have to be reclaimed and extensive afforestation work needs to be carried out in these areas. Some of the mining operators, having existing licenses that have not so far expired, raised a contention that due to suspension of all mining operations by this Court they were not able to conduct any mining even though they had not violated any rules or guidelines and hence, they should be allowed to do the mining operations in terms of the lease granted to them, more so as the State of Haryana is proposing a Scheme for setting aside about 600 ha. of land in Faridabad for excavation of minor minerals. We do not think it is feasible or in the larger interest to allow those mining operators to carry out any mining activities on the basis of the earlier licenses. Of course, they would be at liberty to participate in the auction in respect of the 600 ha. of land in Faridabad which would be made available for mining activities. i) The State shall issue a Notification laying down the guidelines and the procedure for giving licence/lease. The State shall also establish an Aravali Rehabilitation Fund and a Monitoring Committee. In issuing the Notification for allowing mining operations in an area upto 600 ha. in the District of Faridabad, including Palwal, the State must strictly adhere to all the conditions enumerated in the Minutes of the Meeting held on 7.1.2009 between the C.E.C., State of Haryana and the Forest Survey of India regarding mining, colonisation and related issues in Aravali hills. It is hoped and expected that the Notification will be issued by the State Government within a period of three months. ii) The State of Haryana will take immediate steps for preparation and implementation of Reclamation and Rehabilitation Plan for the area degraded as a result of the mining activities in that part. The rehabilitation of those areas shall be done by the respective leaseholders. The State would also be at liberty to hold the respective leaseholders who had not carried out the rehabilitation work as per Rule 27 of the Mineral Concession Rules read with Form-K of the said rules as liable for the rehabilitation of those areas. The State shall take all reparatory and compensatory steps in this regard. iii) The actual mining operation in the 600 ha. of land in Faridabad shall commence on submission of the rehabilitation and reclamation plan by the State and its approval by this Court. It shall be done at the earliest and preferably within a period of six months. iv) The C.E.C. shall submit quarterly reports to this Court in regard to the commencement of the mining activities and its effect on the surrounding areas as also in regard to the progress of the reclamation work in the areas of Aravali range degraded by the past mining operations. Before any mining operations commence, the leaseholders shall obtain all statutory clearances including environmental clearance in terms of MoEF Notification dated 14.9.2006 and also the approval under the Forest Conservation Act. The Principal Secretary, Department of Mines, State of Haryana will be responsible to ensure strict compliance of this order. The Chief Secretary of the State shall have supervisory control over the matter. As regards the permission for mining activities in the 1500 ha. of land in Gurgaon and Mewat, the same will be taken up separately considering the progress made in the rehabilitation work to be carried out by the State in the 600 ha. of land. In case of violation of any of these directions or failure of the rehabilitation and reclamation process to make satisfactory progress, this Court would consider closure of the mining activities which are hereby permitted by this Court. In case of any such failure, the C.E.C. may file a report as and when required. The State would revoke all licenses in respect for major minerals both in Faridabad and Gurgaon districts. All I.A.s, writ petitions and contempt petitions relating to minor minerals are disposed of. Consequently, all applications for intervention and impleadment are also disposed of. List the Construction matters on 11.12.2009.